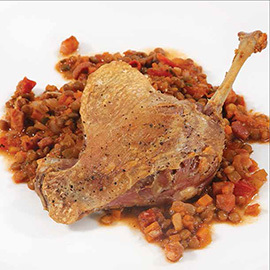 Confit Duck Leg with Lentil Stew recipe shared by Richard Burton from burton sous vide. 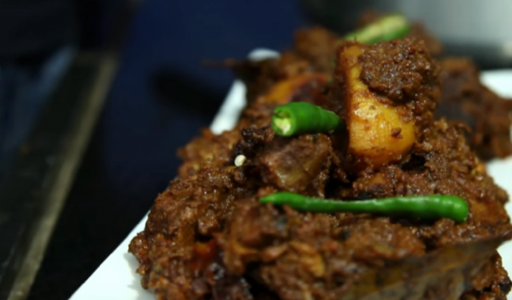 Warm up a cold winter evening with this deeply satisfying duck dish. 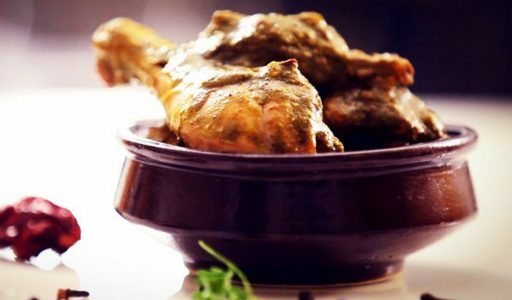 To prepare the cure, mix the salt, pepper and thyme leaves in a small bowl then rub over the duck legs and refrigerate in an airtight container for 12 hours. Fill and preheat the Burton sous vide to 72 °C. Rinse the duck legs to remove any excess salt and trim any excess fat. Place the legs and 3 tbsp of duck fat into a suitable cooking pouch, press and seal securely then use the hand pump to vacuum the air out. Put the pouch in the water bath and insert the holding frame to ensure the duck legs remain submerged. Cook for 12 hours. Heat the rapeseed oil in a large non-stick frying pan and gently sauté the carrot, onion and garlic for about 10 minutes until soft but not coloured. Add the pancetta and cook for a further 6 minutes. Stir in the tomatoes and wine then simmer for a further 5 minutes until the sauce thickens. Finally, add the lentils, parsley and chicken stock, heat gently for 2-3 minutes, season with salt and black pepper and keep warm. Remove the duck legs from the pouch and add a tablespoon of duck fat to a heavy-based frying pan and finish over a moderate heat for about 5 minutes until the skin is crisp and golden. Read More about Richard Burton at the Burton Sous Vide website.